Kansas City is blooming, and with it, a beautiful camper scene! I stumbled on KC Bloom Co. in a small parking lot off Gillham Plaza. KC Bloom Co. is unlike anything else in the area. 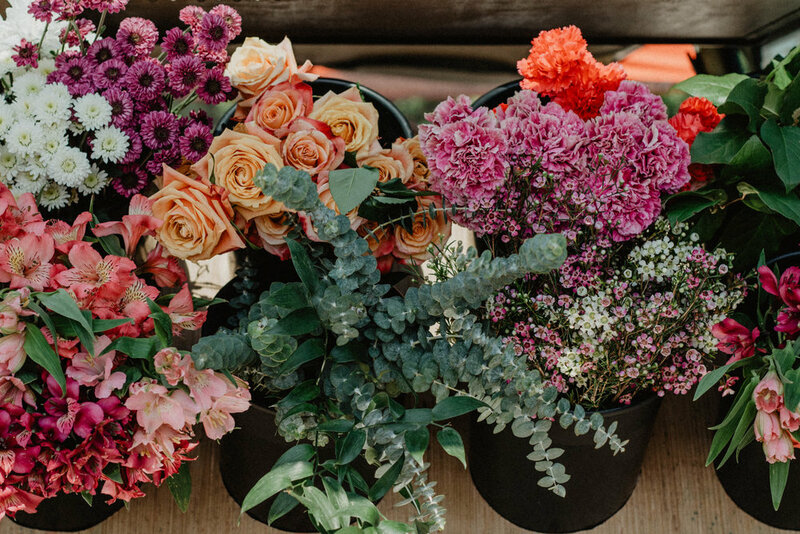 Based in a VW Vanagon called, “Westy,” it’s filled with fresh flowers ranging from the sweetest smelling roses to alstroemeria and fresh greens like salal leaves. You can create your own bouquet or buy small or large premade bouquet. One of the things I love the most about KC Bloom Co. is that Westy is often in a new place each week which helps me explore more and more of our great city. You can find more about KC Bloom Co., here and follow along on their social media to find out where they’re at in the city! Only a few feet away from KC Bloom Co. is the adorable Wild Way Coffee Camper. I found a seat next to some succulents to take in this beautiful view. The Wild Way is a mobile coffee shop devoted to the road less travelled created by Jon and Christine Clutton. With new, pioneering beverages each week like a s’mores latte and the purple drink its hard not to fall in love with this spot. You can find the Wild Way at 31st and Gilham Kansas City, MO 64108 on Tuesday-Friday from 7-11 am.